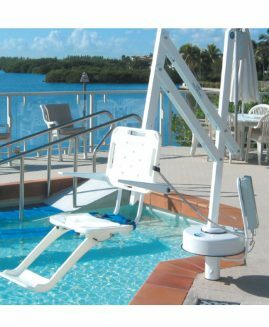 For therapeutic pools, developed for mobility impaired persons who need to be seated when entering and exiting the pool. 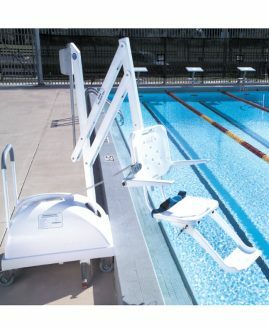 Frame made mainly in AISI-316 Stainless Steel with a central hydraulic mechanism and seat. 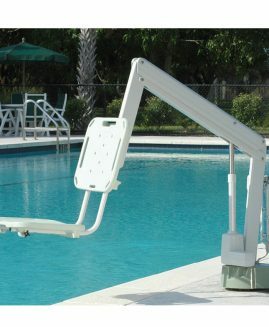 It also incorporates a ladder for the assistant. 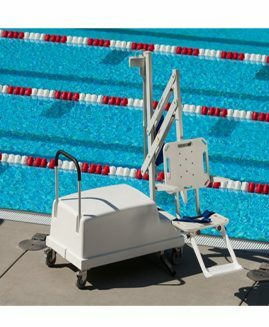 For correct hydraulic operation a minimum 3.5 kg/cm2 water supply pressure is required.